John Raybould - THE MASSACRE AT LE PARADIS - HELL IN PARADISE - MAY, 1940. 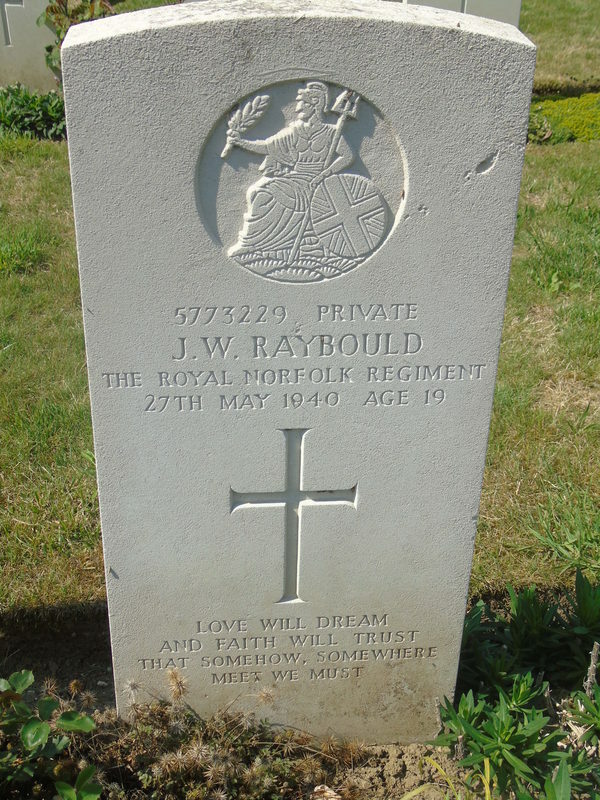 Private 5773229 John William Raybould: Died 27th May, 1940, aged 19. ​Son of John and Emily May Raybould, of Finsbury Park, Middlesex. John William was born in the third quarter of 1920 to John and Emily (nee Taylor).